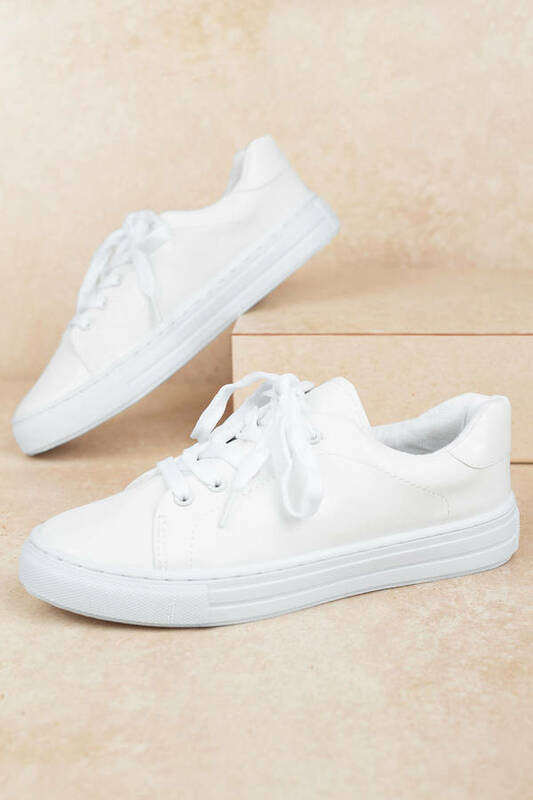 Check out Tobi's Wander Off Faux Leather Sneakers A good pair of white sneaks will def take you places. 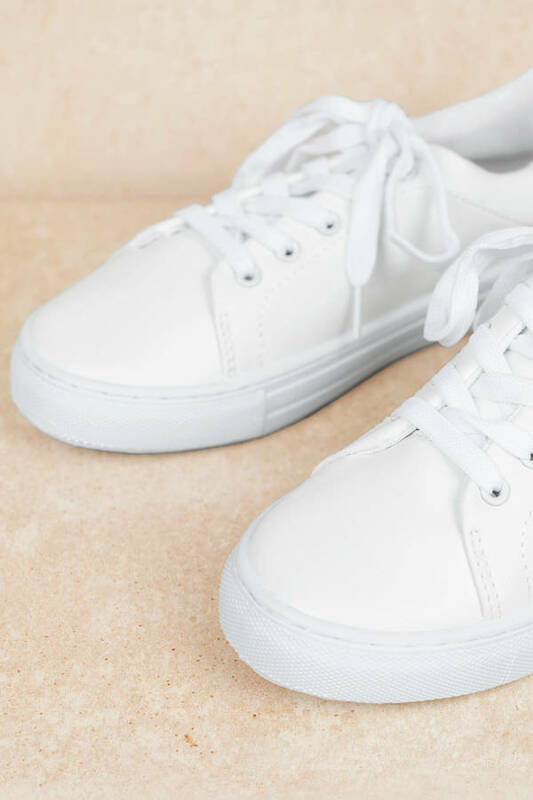 Step up your sneaker game with the Wander Off White Faux Leather Sneakers. These comfortable sneakers feature gorgeous faux leather, round toe, laces, and rubber sole. Perfect for all your casual looks, we like these faux leather sneakers with a floral midi dress. A good pair of white sneaks will def take you places. 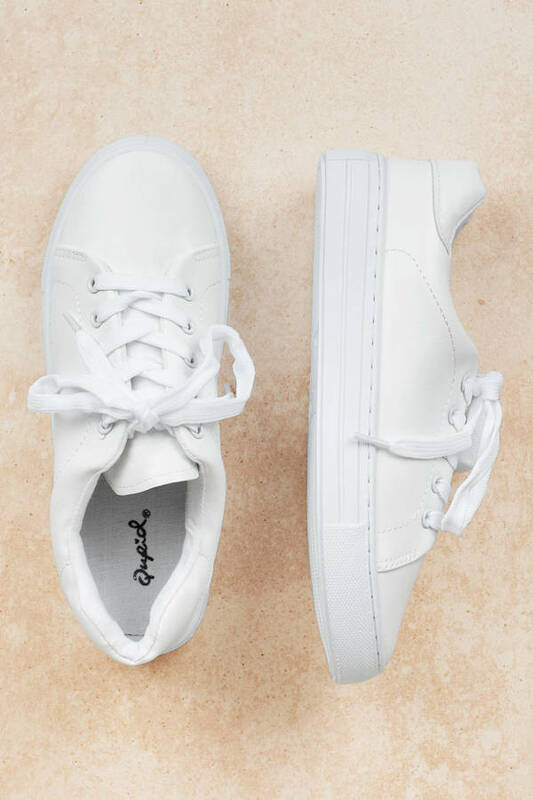 Step up your sneaker game with the Wander Off White Faux Leather Sneakers. These comfortable sneakers feature gorgeous faux leather, round toe, laces, and rubber sole. Perfect for all your casual looks, we like these faux leather sneakers with a floral midi dress.